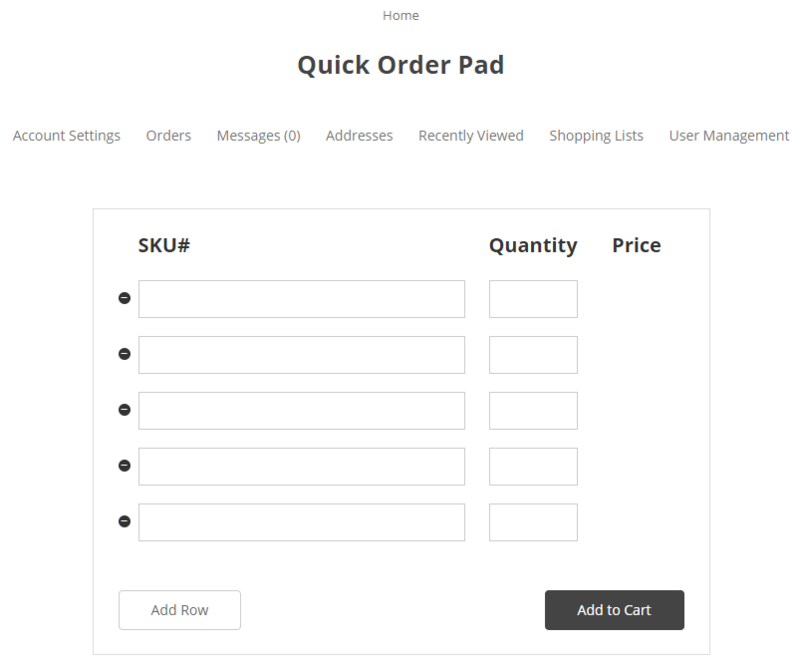 Enables B2B customers to search products inside their assigned shared catalog using Quick order Pad without navigating to all categories to find product they want. B2B customers will be able to quickly add multiple items along with required quantities by specifying variant SKU of the products. We redesigned the Shopping List detail page for better UX. Add Account Settings tab for user information changes. Show B2B customer the company they belong to and the their role inside the company. Add a landing page for Shared Catalog detail display. Seller can view all the products assigned to the shared catalog and all the categories they belong to. Calculate and display product number belong to each category.